The supply of telecommunications services is governed by the Telecommunication Business Act (the Telecom Act), the Radio Act and the Wire Telecommunications Act. It is administered by the Ministry of Internal Affairs and Communications (MIC). The Telecom Act governs entry into and withdrawal from a telecommunications business, telecommunications facilities and rights of way (public utility privilege). In addition, if telecommunications carriers construct a network using radio equipment, they must comply with regulations under the Radio Act concerning radio station licences, radio equipment, radio operators and operations of a radio station, etc. Since the telecommunications market was liberalised in 1985 some 14,000 telecommunications carriers have entered it. Telecommunications services are provided mainly by Nippon Telegraph and Telephone East Corporation (NTT-East), Nippon Telegraph and Telephone West Corporation (NTT-West), KDDI Corporation (KDDI) and SoftBank Corp (SoftBank). Foreign ownership restrictions apply to Nippon Telegraph and Telephone Corporation (NTT Corporation), which holds all the issued shares of NTT-East and NTT-West. These are that the aggregate voting rights of shares in NTT Corporation may not be held by any person who does not have Japanese nationality; any foreign government or its representative; any foreign juridical person or entity; or other persons or entities with shares directly held by foreign persons or entities may not exceed one-third of the total voting rights of the issued shares of NTT Corporation. Upon commencing a telecommunications business, a telecommunications carrier installing large-scale telecommunications circuit facilities must register with the Minister of MIC (the Minister); a telecommunications carrier installing no or only small-scale telecommunications circuit facilities need only submit a notification to the Minister. Telecommunications circuit facilities qualify as ‘small-scale’ if the following two requirements are met: terminal system transmission line facilities remain within one city, town or village; and transit system transmission line facilities remain within areas in one prefecture. documents specified in the applicable MIC ordinance shall be submitted to the Minister. any person where it is deemed that the launch of a telecommunications business of said person is inappropriate for the sound development of telecommunications. There are no payable fees to register. An application for registration would take about 15 days if there is no substantial issue. other documents such as network diagrams, documents concerning telecommunications services to be provided and documents specified in the applicable MIC ordinance. There are no payable fees to give notification. In addition to registration or notification above, in order to conduct a telecommunications business by installing telecommunications circuit facilities, the telecommunications carrier that intends to exercise the right of way (public utility privilege) for installing transmission lines may, separately from any telecommunications business entry procedures such as registration or notification, be granted a public utility privilege for all or part of its telecommunications business by obtaining approval from the Minister. A telecommunications carrier providing universal telecommunications services shall, where they intend to establish or change tariffs concerning terms and conditions including charges relating to the carrier’s universal telecommunications services, submit those tariffs to the Minister seven days prior to their date of implementation. Where they intend to establish or change the tariffs, the telecommunications carrier shall submit the notification describing the date of implementation. Any telecommunications carrier who intends to obtain an assignment of telecommunications numbers, which will ultimately be assigned to end users, must submit certain documentation to the Minister for examination. Licences or registration under the Radio Act (such as a radio station licence) are required for a telecommunications business utilising radio communications. The 2G mobile service that used the Personal Digital Cellular (PDC) system was used from March 1993 to 2012 in Japan, and is currently not used. 3G based on IMT-2000 has been used in Japan since 2001. 3.9G (known as long-term evolution) and 4G are widely used in Japan. The spectrum was allocated by the MIC. Public Wi-Fi services are provided by local governments, public services (subways), shops and restaurants for visitors, and the services will be expanded looking forward to the Tokyo Olympics and Paralympics in 2020. The Minister allocates spectrum when the Minister grants a licence to a telecommunications carrier in accordance with the Radio Act. The Minister assesses the use of spectrum, formulates a plan to restructure the assignment of spectrum, and discloses a plan for the assignment of spectrum once every three years for each of the three categories of spectrum (714MHz or less, 714MHz to 3.4GHz and 3.4GHz and more). There is no auction system for spectrum use. Universal service systems were introduced in 2002 for subscriber telephones, optical internet protocol (IP) telephones (provided through optical lines), which are used as a substitute for subscriber telephones, certain kinds of public telephones, and emergency calls (police, coast guard, firefighting and ambulance). Fixed VoIP services using 0AB-JIP numbers, which maintain the same quality of service as fixed-line (wired analogue) telephones using the same fixed-line 0AB (0AB-J) number, are also under universal service. 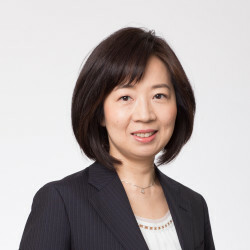 Financial obligations have been imposed since 2006 on mobile telephone service carriers, subscriber telephone service carriers, and IP telephone providers for whom (i) profit in the preceding year exceeded ¥1 billion and (ii) they were assigned telephone numbers by the Minister and then assigned such numbers to their end users. Universal service carriers (ie, NTT-East and NTT-West) must establish tariffs and submit these to the MIC prior to implementation of the services. The Telecommunications Carriers Association collects sums for universal services from telecommunications carriers that fail to comply with (i) and (ii) above and assigns the amount collected to NTT-East and NTT-West to facilitate the provision of universal services. Telephone numbers are allocated by the Minister in accordance with Regulations on Telephone Numbers. The international prefix number is 010, and it is necessary to dial 010+ (national number, for example, 1 for the USA) followed by the local number to make international calls. Mobile number portability was introduced on 24 October 2006, and number portability between mobile phones and personal handy-phone systems was introduced on 1 October 2014. Number portability of subscriber telephones (local numbers) is partly available for users who have used a subscriber telephone provided by NTT-East or NTT-West when it is within the same location. Any telecommunications carrier or agent shall, before the conclusion of a contract of services for general consumers, explain the service contents, such as types of service, name of telecommunications carrier, contact points for the telecommunications carrier including business hours and contents of telecommunications services to users. Basically, the telecommunications carrier (or agent) shall deliver documents containing matters to be explained and subsequent verbal explanations shall be given to potential users. When a telecommunications carrier intends to suspend or discontinue part or all of its telecommunications business, it must inform users of the full effect prior to implementation. The notice must be made by way of a reliable method (eg, delivery of written documents, transmission of emails, etc) and enable users to understand the suspension or discontinuation of business operations in a reasonable time period (about one month) prior to implementation. A telecommunications carrier shall properly and promptly process complaints and enquiries from users concerning telecommunications services or operations methods. Whether this has been ‘appropriately and promptly process(ed)’ or not shall be judged by the telecommunications carrier on a case-by-case basis. If there is no contact point for accepting complaints and inquiries or the contact points exist but are not accessible by consumers, complaints and enquiries cannot be considered ‘appropriately and promptly process(ed)’. There are no limits on net neutrality. No telecommunications service carrier may engage in unfair and discriminatory treatment with regard to the provision of telecommunications services in accordance with the Telecom Act, and secrecy of telecommunications is protected by the Constitution (net neutrality is discussed as an issue of fairness of telecommunication in Japan). However, the protection of minors is an exemption. This being said, internet service providers are under obligations with regard to the protection of minors and the regulation of adult entertainment. Internet access service providers must provide filtering services to protect minors, and mobile phone providers may only provide internet access to minors with filtering unless there is a possible opt-out by guardians. Hosting service providers must endeavour to prevent access by minors to adult content. ‘Zero-rating’ of data transmission is permitted in practice because there are no specific regulations or guidelines that prohibit it. In addition, bandwidth throttling is permitted in practice, for example, in order to limit telecommunications services for heavy users. Telecommunications service carriers shall, when a natural disaster, accident or any other emergency occurs or is likely to occur, give priority to communications on matters that are necessary for disaster prevention or relief efforts, for securing transportation, communications or electric power supply, or for the maintenance of public order. The same shall apply to other communications that are specified by the Ordinance of the MIC to be performed urgently for the public interest. There is no specific legislation or regulation relating to digital platforms. The MIC promotes the research and development of new radio systems including 3.9th generation mobile telephony and fourth-generation mobile communication systems, that realise more advanced mobile services, intelligent transport systems that support safe driving and broadband systems for public services that enable video communications with high mobility in case of emergency, and wireless broadband in houses that enable wireless connections between all domestic information appliances. Data protection in Japan is generally regulated under the Act on the Protection of Personal Information (APPI) and subsidiary laws, regulations and guidance. In addition to the APPI, the guidelines issued by the Personal Information Protection Commission (PPC) (general guidelines, guidelines on data transfer to a third party in a foreign country, guidelines on confirmation and records for providing to a third party, and guidelines on anonymously processed information), and the Guideline on Personal Information Protection in Telecommunication Business issued by the MIC (the Telecom Guideline) applies to entities in the sector. In addition, the Telecom Act provides that a telecommunications carrier shall not censor any communications handled by it or violate the secrecy of such communications. The Basic Act on Cybersecurity aims to comprehensively and effectively promote cybersecurity policy by: stipulating basic principles of national cybersecurity policy; clarifying the responsibilities of the national government, local governments and other concerned public parties; stipulating essential matters for cybersecurity-related policies such as the cybersecurity strategy formulation; and establishing the Cybersecurity Strategic Headquarters and so forth, and as a result, attempting to enhance economic and social vitality, sustainable development and realising social conditions where people can live with a sense of safety and security, and contributing to the protection of international peace and security as well as national security. Critical Information Infrastructure (CII) operators that provide infrastructure that is the foundation of people’s living conditions and economic activities and the functional failure or deterioration of which would risk enormous impacts on them (CII operators, which include telephone service providers and the media) are to make efforts to: deepen their awareness and understanding of the critical value of cybersecurity; ensure cybersecurity voluntarily and proactively; and cooperate with the measures on cybersecurity laid down by the national government or local governments. Secrecy of communication under the Telecom Act and the Radio Act also protects cybersecurity in Japan. Many companies in Japan rather hesitated to use ‘big data’ because some of such data relates to personal information and privacy and there was a grey area regarding the use of such information due to ambiguities in the former APPI. The APPI was amended and came into effect on 30 May 2017. As amended, the APPI defines ‘encrypted anonymous information’ (ie, personal information that has been modified so that it is not possible to identify the data subject) and allows the use of such encrypted anonymous information without the approval of the data subject. This amendment has enabled greater use of big data in Japan, and we see a considerable amount of usage of big data today (see question 16). There are no general laws or regulations that require data to be stored locally in Japan. implements data protection standards equivalent to those that data controllers subject to the APPI must follow. In addition, the Act on the Protection of Specially Designated Secrets protects national secrets regarding defence, foreign affairs, prevention of designated harmful activities and terrorism and limits transfer specific information to designated counties. Since 30 May 2017, the amendments to the APPI have begun to comprise the most extensive revision of Japan’s privacy laws for some time, and include the introduction of a new oversight regime based on the PPC (which was established on 1 January 2016) and clarification of the scope of existing laws. Traceability requirement: a data handler must conduct an identity check and information source check when receiving personal information from a third party, and keep a record of the checks, and (subject to certain exceptions) keep a record of disclosures of personal information to third parties, although the former APPI requires that a data handler must comply with the prohibition on obtaining personal information from a third party by fraudulent means. Use of encrypted anonymous data: through clarification of the definition of ‘personal information’ and defining ‘encrypted anonymous information’, use of such encrypted anonymous information will be liberalised and accelerate use of big data. Transferring personal data overseas: the former APPI had no rules specifically addressing the transferring of personal data to a foreign country, though domestic transfer restrictions were generally treated as applying. The amended APPI allows disclosure of personal data to a third party in a foreign country without the data subject’s consent under an ‘opt-out’ provision (which the amended APPI requires to be filed with and reviewed by the Personal Information Protection Commission in advance) or a ‘joint use’ provision, but only if it is to a transferee in a country on a list to be issued by the Personal Information Protection Commission (effectively countries with sophisticated data protection regimes) or to a transferee satisfying criteria to be issued by the Personal Information Protection Commission, although the list of countries has not been published. The PPC has been discussing with the European Commission in order to establish a framework on the APPI to ensure the smooth and mutual transfer of personal data between Japan and the European Union. With the expected enforcement of the General Data Protection Regulation (GDPR) on 25 May 2018, the PPC has begun to guide and support businesses that have connections with European countries. The PPC has been trying to obtain a decision of an ‘adequate level’ of protection from the European Commission and the APPI guidelines could be amended in order to protect privacy and personal data even more. Media is governed by the Broadcast Act (the Broadcast Act), the Telecom Act, the Radio Act and the Wire Telecommunications Act, and administered by the MIC. The regulatory and institutional structure of broadcasting and telecommunications was reorganised in November 2010 for the first time in 60 years. The Broadcast Act classifies broadcasting as a basic broadcast (which uses a specific spectrum assigned exclusively or preferentially to a broadcasting station in accordance with the Radio Act) and a general broadcast, which is any broadcast other than a basic broadcast. A basic broadcast needs authorisation from the Minister for broadcasting in accordance with the Broadcast Act and a licence for establishing radio stations from the Minister in accordance with the Radio Act. A general broadcast requires registration in principle in accordance with the Broadcast Act. In the case of small broadcasting (for example, cable television or cable radio), a general broadcast requires the submission of a report. other persons or entities, 20 per cent or more of whose shares are held directly or indirectly by foreign persons or entities. If foreign ownership exceeds 20 per cent, the Minister shall cancel the authorisation of the Basic Broadcast Company. Further, the business operator of a basic broadcast (the Basic Broadcasting Company) may reject a record of share transfer to a foreign person or entity into the shareholders’ list where such transfer would result in foreign ownership of over 20 per cent. There is no specific regulation to prohibit foreign ownership of newspapers. However, foreign ownership of major daily newspapers is restricted in practice because many publishers of daily newspapers have articles of incorporation restricting foreign ownership in accordance with the Act on Restriction on Transfer of Shares in Stock Companies whose Business Purpose is the Publication of Daily Newspapers. There are regulations under the Radio Act in relation to the cross-ownership of media companies that attempt to restrict cross-­ownership, though some exceptions exist and there are media groups that own television, radio and newspapers. A licence is necessary for a Basic Broadcasting Company with broadcasting stations under the Radio Act. The period for the acceptance of applications for each frequency band shall be set by the MIC for a period of one month or longer and the MIC must give public notice of such period, the zone area where the applicant for radio station licence may install the radio equipment of the radio station, and other particulars to supplement the licence application. After the set periods, no further applications will be accepted. the expected commencement date of operation. The fee for an application is ¥10,200 (payable on submission of the application papers) or ¥7,300 (when applying through the internet). When receiving an application, the Minister shall examine without delay (there is no specific set period) whether the construction design conforms with the technical regulations, whether it is feasible in terms of frequency assignment, and if it conforms to essential standards necessary for the establishment of radio stations. When the construction work has been completed, the company must submit a notification to the Minister and an inspection must be carried out in relation to the radio equipment, the qualifications of radio operators, the necessary number of radio operators, timepieces and documents. The Minister shall grant a licence to the applicant without delay when the inspection referred to above is satisfactory. There are no specific regulations concerning the broadcast of foreign-produced programmes. Advertising in Japan is regulated under a number of statutes, including the Act against Unjustifiable Premiums and Misleading Representations (AUPMR), the Act on Specified Commercial Transactions, and other acts and guidelines in respect of specified industries. There is also a ‘fair commission code’, voluntary rules by trade associations such as the alcohol beverage industry, the real estate industry, the automobile industry, etc, in accordance with the AUPMR in order to standardise expressions in advertising appropriate for each industry. Because each fair commission code is authorised by the Minister of the Consumer Affairs Agency and the Fair Trade Commission, a member company that obeys its fair commission code will not be censured for infringement of the AUPMR. Each industry generally has its own code of practice in addition to ‘fair commission codes’ in certain industries. These are voluntary rules, but members generally follow these rules once formulated. Advertising agencies and media companies are also generally familiar with, and comply with, the rules specific to their clients’ industries. Online advertising is subject to the general regulations above. In addition to the general regulations above, under the Broadcast Act, a basic broadcasting company may not broadcast any advertising that may disturb education by schools when the company broadcasts an educational programme for schools. Under the Broadcast Act, Nippon Hoso Kyokai: Japan Broadcasting Corporation (NHK), the only public broadcaster in Japan, may not broadcast any advertising of other businesses. There is no basic package of programmes that must be carried, though a basic broadcasting company shall endeavour to make broadcasts to prevent or mitigate any disasters such as a storm, heavy rain, flood, earthquake or conflagration. Regulations of general broadcasts (ie, broadcasts other than a basic broadcast) and other media are less strict than those for basic broadcasts that must deliver well-balanced programmes (such as cultural and educational programmes, news and entertainment) and, accordingly, they can broadcast more freely than traditional broadcast media. The switchover from analogue to digital broadcasting was effected on 31 May 2012 in Japan. The switchover from analogue to digital for satellite broadcasting was effected on 24 July 2014. Multimedia broadcasting for mobile terminals commenced in April 2012 using 207.5MHz to 222MHz frequencies, which were previously used for analogue broadcasting. The MIC assigned ‘white space’ (which can be used for purposes other than broadcasting even though it is assigned for broadcasting) in UHF to limited area broadcasting. The MIC has been considering what the 90MHz to 108MHz frequencies in VHF, which were previously used for broadcasting, will be used for. The Broadcast Act prohibits the centralisation of media, and MIC ordinances prohibit a basic broadcasting company, its owner or its subsidiary from obtaining another authorisation as a basic broadcast from the Minister. Under the duality system in TV broadcasting in Japan, there are two types of major TV broadcasting. NHK, the only public broadcaster in Japan, is funded by fees paid equally by any household and business that has TV equipment in accordance with the Broadcast Act; other basic broadcasting companies are private and operated with advertising fees. As for fees paid to NHK, the Broadcast Act provides that persons installing reception equipment capable of receiving NHK broadcasts (ie, televisions) must conclude a contract with NHK for the reception of those broadcasts. The Supreme Court judged, on 6 December 2017, that article 64 of the Broadcast Act may enforce the execution of a reception contract with NHK, and if a person who has a television does not agree to a reception contract, NHK may raise a lawsuit for acceptance to a court and a reception contract shall be executed in accordance with the final judgment favourable to NHK. It is expected that the number of persons who do not pay the reception fees may decrease due to the above judgment. clarify the points at issue from as many angles as possible where there are conflicting opinions concerning an issue, when editing domestic broadcast programmes or domestic and international broadcast programmes. If the article is deleted, new entry to the broadcasting industry could be encouraged; however, it is a concern that prejudicial or biased broadcasting may increase. The MIC regulates the communications and media sectors. Antitrust is regulated by the Fair Trade Commission in accordance with the Act on Prohibition of Private Monopolisation and Maintenance of Fair Trade. There is no specific mechanism to ensure the consistent application of competition rules. However, the MIC and the Fair Trade Commission jointly published guidelines regarding antitrust in the telecommunications industry, and communicate on both communications and antitrust issues in order to ensure the consistent application of competition and sectorial regulations. Decisions of the Minister (such as granting of radio station licences, authorisation of a basic broadcast, and cancellation of authorisation of a basic broadcast) may be challenged by lodging an objection with the Minister in accordance with the Radio Act or the Broadcast Act. The Minister must ask the Radio Regulatory Commission to discuss the issue raised by the applicant with the Radio Regulatory Commission unless the objection is rejected by the MIC. The Radio Regulatory Commission must start to hear the case within 30 days of the Commission receiving the case, assigning an examiner or, when the issue is extremely important, a commission member, to hear the case. The objecting party and any interested party may retain counsel for the hearing and the Minister may assign government officers to join the examination. On conclusion of the hearing, the examiner or commissioner shall prepare an opinion and submit it together with records of the hearing to the Radio Regulatory Commission, which will then publish the records and the opinion, and the case must then be resolved in accordance with the findings of the examiner. The Minister then issues a decision in the case in accordance with the resolution based on the findings of the examiner within seven days of the resolution. An applicant or interested party who disagrees with the Minister’s decision may appeal to the Tokyo High Court, and the court shall be bound by the facts found by the Radio Regulatory Commission. The Japan Fair Trade Commission and the MIC updated the Guidelines on Promotion of Competition in the Telecommunications Industries on 9 January 2018.
manufacturing and sales of telecommunication facilities. 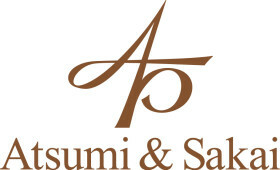 Atsumi & Sakai is a multi-award-winning, independent, full-service Tokyo law firm, and among the ten largest independent law firms in Japan. Expanding from its highly regarded finance practic.